Could a Mediterranean diet help us hang on to brain cells? 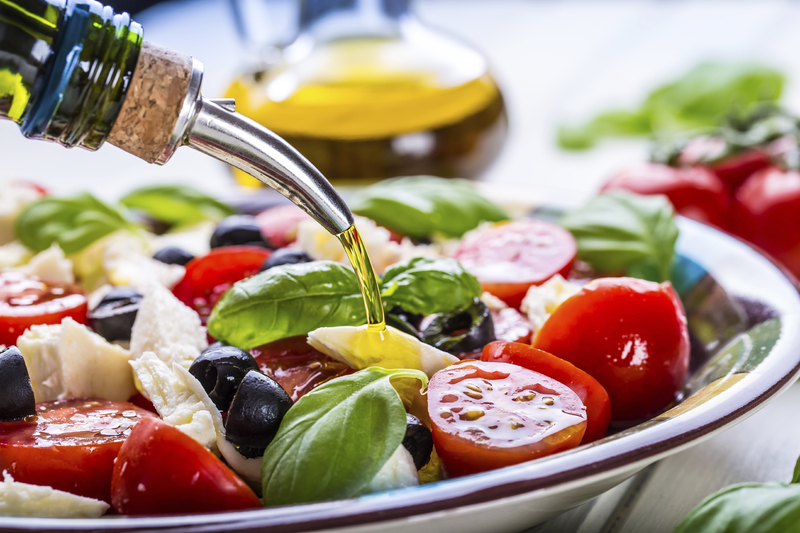 Eating a Mediterranean-style diet pops up again and again as a health booster. The latest study to look at its benefits suggests following the diet may delay brain shrinkage as we age. People who ate a diet rich in fresh fruits and vegetables, fish, legumes, and olive oil, along with small to moderate amounts of alcohol, and who consumed less meat and dairy, had less brain shrinkage than people who did not follow a Mediterranean eating style, according to a study published today in the journal Neurology. The researchers also found that Mediterranean diet followers had a larger brain volume than those who didn't eat this way. The difference between the two groups added up to about five years of aging, the scientists reported. Study author Yian Gu, of Columbia University, in New York, said the results are exciting because they raise the possibility that people may potentially be able to prevent brain shrinking and the effects of aging on the brain by following a healthy diet. "The more you adhere to the Mediterranean diet, the better protection you get for your brain," she told CBS News. Dishing up more fish and less meat was linked with less brain shrinkage. "Eating at least three to five ounces of fish weekly or eating no more than 3.5 ounces of meat daily may provide considerable protection against loss of brain cells," Gu said in a press statement. The study included 674 people with an average age of 80 who did not have dementia. They completed questionnaires about their diet over the past year and then had brain scans an average of seven months after answering the diet survey. The participants were divided into two groups based on how closely their dietary habits followed the Mediterranean diet basics. The people who more closely followed a Mediterranean-like diet had total brain volume that was 13.11 milliliters larger than those who did not follow the Mediterranean diet. Their gray matter volume was 5.0 milliliters larger, and their white matter volume was 6.41 milliliters larger. Dr. Gayatri Devi, an attending neurologist at Lenox Hill Hospital, in New York, told CBS News, "The freshest thing here in this study shows that people on a Mediterranean diet, their brains actually shrunk less than people not on Mediterranean diet. And the shrinkage translated to an advantage of five years of brain aging. Persons who said that they were having a diet high in fruits, vegetables and fish and high in different kinds of polyunsaturated fats like olive, had plumper more healthy brains, less-shrunk brains than people who reported having a diet of food that was high in dairy and high in red meats and low in vegetables and fruits." The less shrinkage there is in your brain, said Devi, the more brain cells there are available, and "the more brain cells you have available, the more likely you are to be protected against illnesses of the brain related to aging, like Alzheimer's." Devi said the omega 3 fatty acids found in fish seem to keep nerve cells healthy, while the B vitamins found in a lot of vegetables and fruits may help prevent the buildup of plaque in the brain seen in Alzheimer's disease. "The foods that are high in saturated fat may actually promote the laying down of plaques seen in Alzheimer's," she said. Devi said it was interesting that in two equally slender people, the one eating the more Mediterranean-like diet was more likely to have a brain that shrunk less. The research, said Devi, "gives us another tool in our toolbox to help keep us more functional as we get older." The study, supported by the National Institutes of Health, does not prove that the Mediterranean diet prevents brain shrinkage, it only showed an association, study author Gu said. Following a Mediterranean-style diet has also been linked with a range of other benefits, including better heart health and a reduced risk of diabetes.